Appeal to those who want all creatures to find good homes with the Humane Society Poster. Three boxes organize all your event details below a picture of a puppy ready for adoption. 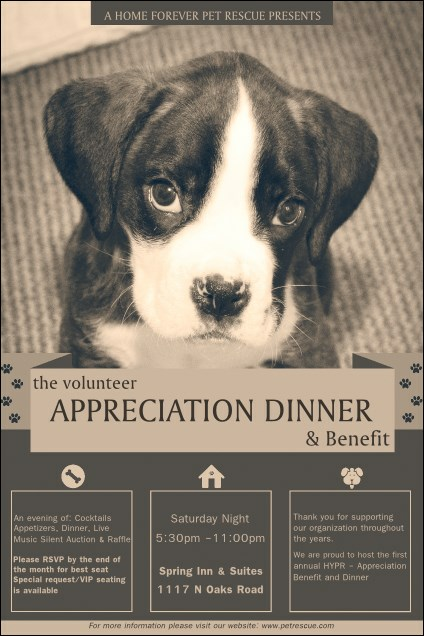 Use this template for your annual gala, fundraising campaign, or volunteer appreciation event.